As the dark days of winter approach, I often feel the need for a book of short reflections that can chase away the heaviness of spirit that winter can bring. If you can identify with this, then let me tell you about A Book of Uncommon Prayer. Theo Dorgan, an Irish poet, brings together “a collection of prayers assembled in good faith by a lifelong agnostic” (Page vii). What pleases me most about these prayers is how provocative they are. I have always believed that prayer should be as provocative as it is comfortable or inspiring. 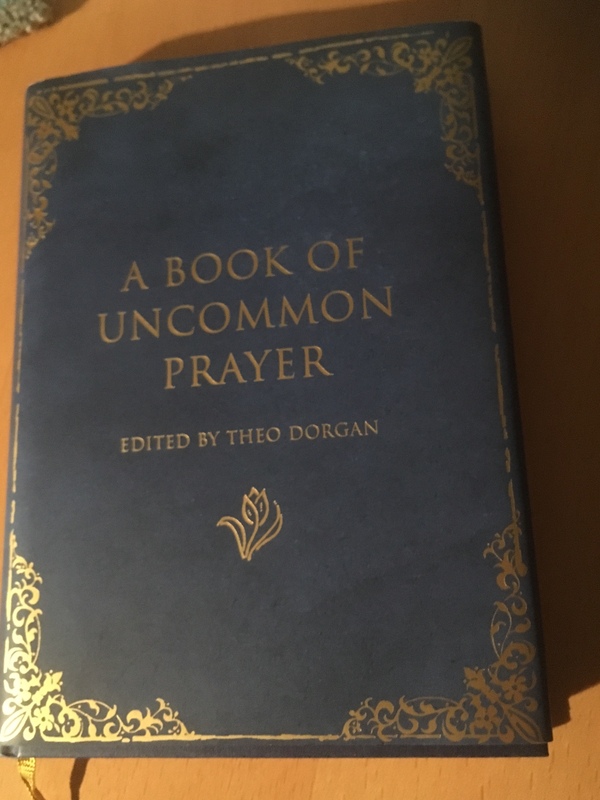 Apart from the prayers themselves, A Book of Uncommon Prayer is also a fine example of a well-edited book and well-curated collected. Dorgan is able in his Introduction and in his chapter openings and commentary to illuminate his selections. His writing is poetical, but it never eclipses the work he is bringing forward. As a final way of convincing you that this is a book worth your time, let me provide some of Dorgan’s choices. Wonderful review! St. Theresa of Avila has been a longtime favourite saint of mine! The quote convinced me. I am ordering it.